Technology offers many marvels in today’s day and age. One of those great developments is the electric grill. Purists out there may scoff at the idea of using electricity to grill. After all, isn’t BBQ over coals older than the wheel? Others would argue that electric grilling destroys the traditions built up in this country since the days of frontier grilling. Don’t get me wrong, I love gas and charcoal grills. However, more and more people are realizing the benefits of electric grilling. One reason to go electric is the covenants condos and apartments place upon traditional grills. Another argument in favor of the electric grill is the sheer ease in operating one. So how do we achieve traditional grilling results with the aid of modern technology? That’s where the Weber Q 1400 Electric Grill comes in. No name is more trusted in the world of grilling than ‘Weber.’ Rest assured that Weber would never chase a trend just to make a cheap buck. And the Weber Q 1400 is no different than the quality we’ve come to expect from this legendary American company. 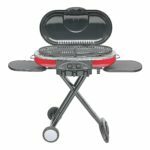 Keep reading the rest of the review to find my thoughts on the pros and cons of this Weber electric grill. I’ll highlight the notes it hits so well, and also document its faults. Weber custom tailored this grill to meet the demands of a certain customer base. By review’s end I will hope to demonstrate who best benefits from the Q 1400. All parts of this grill scream ‘Quality.’ From the outset I’m impressed by the aluminum body. This aluminum shell withstands the elements and can be kept outside no issue. 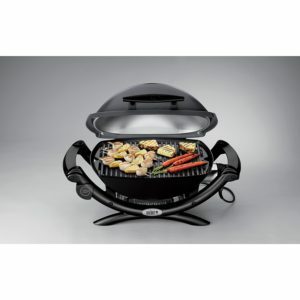 Most importantly, the aluminum shell insulates well and keeps the heat inside the grill. Another big plus is the grilling grate cooking area. They look sharp, clean up quickly, and provide a nice cooking surface. This Weber is no George Foreman. The Weber Q 1400 takes twenty minutes to reach temperature. And when it does-is it hot. You’ll be able to get those beautiful sear marks on the meat no issue whatsoever. Expect to leave chicken and beef grilling for six or seven minutes on each side. All told, you’ll spend less than an hour grilling most of the classics. Burgers, dogs, fish, ribs, you name it. This electric grill can handle anything a gas and charcoal grill have thrown at them. 189 square inches of grilling space offers a whole lot more grilling area than you would expect. 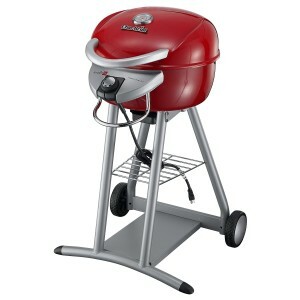 Cooking for a family of four will become a favorite pastime when using this Weber. Grilling eight burgers, six chicken breasts, racks of ribs, and five tenderloins will easily fit on the Weber’s cooking surface. I’ll be the first to admit, dealing with charcoal and propane tanks all the time feels like a chore. Along with leaving the hassle of gas and charcoal you also get to leave behind the high costs. Electricity is good for the wallet of the home cook. Plus, you’ll develop an addiction to home grilling and won’t need to eat out as often. All told, the dollar savings from the Weber Q 1400 pays off in the long run. Being tied down to a mega heavy traditional grill limits your fun. All you can do is grill in the same place day after day. The Weber Q 1400 weighs only 30lbs which means it can easily be moved around as needed. Live in apartment or condo? 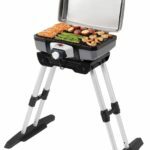 Perfect, this grill can be put out on your patio whenever you’re ready to grill? Going on a trip in an RV? Take along this Weber grill and keep the show going on the road. The Weber Q 1400 ends up being smaller than the Weber Q 2400. If you’re in need of a grill that cook for eight-ten guests, then you’ll probably want to opt for the Q 2400. Cooking for a family works well on this grill, but just keep in mind the limits of the cooking space. While electric grilling delivers an authentic experience in this day and age it never fully transmits a smokey char-broiled flavor. A few workarounds exist though. First, try out smoked sea salt. 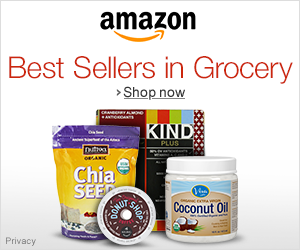 This provides a quick and easy solution that works for many. Second, consider a wood chip smoker box. These nifty gadgets deliver a light smokey flavor to the food. Want a Machine with More Cooking Space? 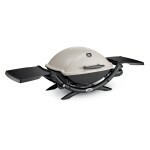 Then Check out the Weber Q 2400 Electric Grill. In many ways the Weber Q 2400 is the bigger and better version of the Q 1400. The primary difference between the two is that the Q 2400 offers 90 additional square inches of cooking space. That space comes at a cost though to the tune of $50. All told, that’s a trade-off I certainly would make. Looking for a Lower Cost Alternative? Then try out the Char-Broil Patio Bistro Electric Grill. You’ll end up saving $100 when opting for this grill. Saving $100 leads to a lower quality grill though. The Weber Q 1400 looks better and delivers better results than the Char-Broil. While the Char-Broil certainly delivers, it just can’t quite compete with the premium quality we’ve come to expect from Weber. What’s not to love about this Weber? It’s sleek and made of quality parts. It sears meat and reaches high grilling temperatures. Electricity keeps grilling costs down. Apartment and condo dwellers can use these grills freely. Perhaps one may balk at the high price, but that’s the cost of quality these days. 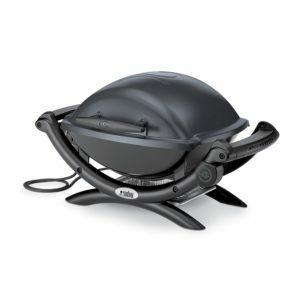 Overall, I give the Weber Q 1400 Electric Grill a total of 5 out of 5 stars. “Grillin’ on our Weber electric Q1400 and watching football .. it doesn’t get better than this! !” – Bill C.